Atlanta Starting XI: Alec Kann, Greg Garza, Michael Parkhurst (c), Leandro González Pirez, Tyrone Mears, Miguel Almirón, Julian Gressel, Tito Villalba, Carlos Carmona, Yamil Asad, Josef Martinez. 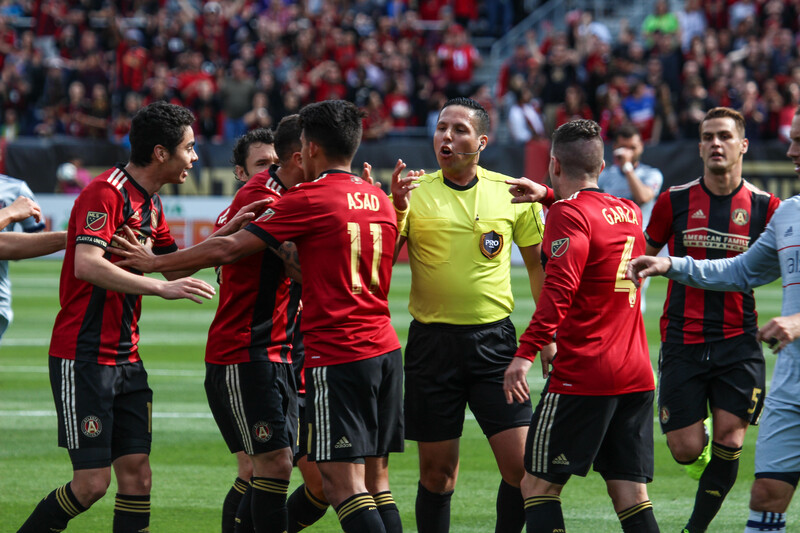 Coming off a 6-1 thrashing of fellow expansion side Minnesota United, Atlanta United hosted the Chicago Fire on a day that was supposed to be filled with rain. Thank goodness mother nature felt sorry for us after our frozen victory up north because the sun shined through right before kickoff. Atlanta looked to make an early impact against the Fire and that came in the 5′. What initially looked like an own goal (because of the deflection it took) was credited to Julian Gressel. In the 10′ disaster struck for the Chicago Fire as Tito Villalba was denied a goal scoring opportunity by Johan Kappelhof and received a straight red. Knowing the kind of deadly attack Atlanta carries, the Fire did not want to be down to 10 men with 80′ left to play. The most telling stat in the 1st half was ATL’s 82.9% possession, the majority of which was the benefit of the red card. 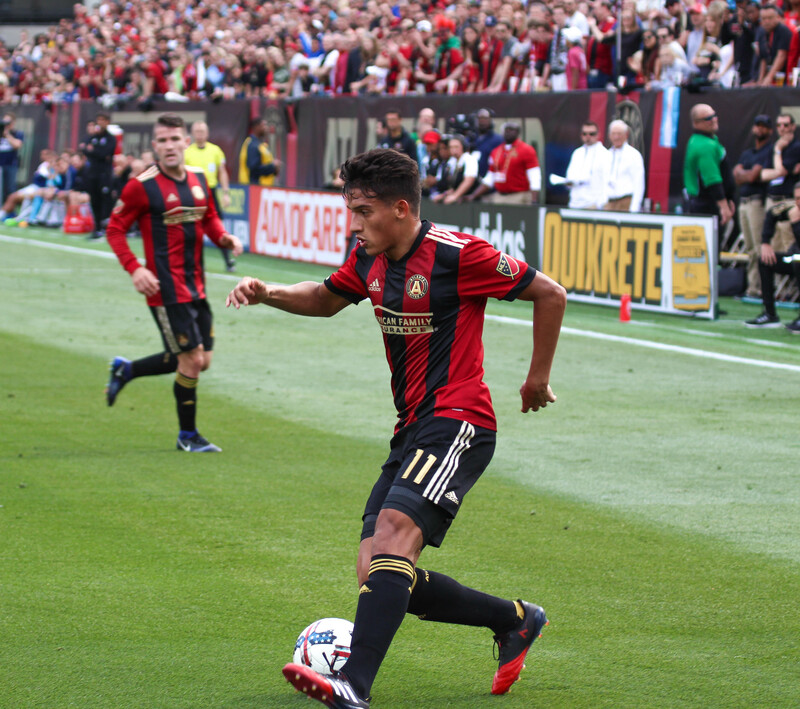 Atlanta United’s Yamil Asad and Greg Garza held down the left flank in the 4-0 victory over the Chicago Fire. 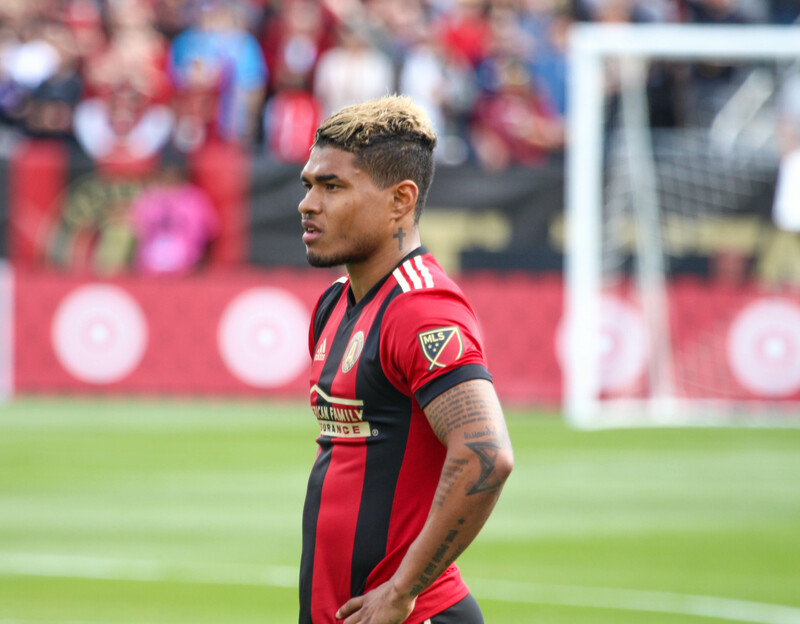 The second half started more in Atlanta’s favor when the assist machine Miguel Almirón served a perfect through ball to Josef Martinez who pulled a cheeky move when 1 v 1 with Chicago Keeper Jorge Bava. It was clear Atlanta had finally made the breakthrough we’d been waiting for. When an opposing team is down a man, ideally, the goals are supposed to come flying. So when Atlanta scored two goals in 10′ to start the second half, it finally looked like the team was coming together offensively (the way it should being up a man). The third goal came from Tito Villalba when he slotted in 15-yard strike passed the keeper. But the most impressive performance came from Josef Martinez in the 82′ when he received another beautiful through ball, this time by Yamil Asad, pulled yet another cheeky move on Jorge Bava, and scored a near-post strike from an unthinkable angle to make the score 5-0. Another chance came when Pirez pressed forward and found his chance on a header but it took an unfortunate bounce and just cleared the crossbar. My man of the match goes to Josef Martinez. His runs the entire match were just deadly and his eye for staying onside was uncanny. His mechanics when in possession in the final third are second to none and he’s shown that consistently the past two matches. Alec Kann leads the league in saves while Josef Martinez leads the way in goals and shots. Kann also recorded his first clean sheet with the club. This should help his case to continue his role on the first team once Brad Guzan arrives at the club. Atlanta United marked their final home match with a 4-0 victory before the International Break. With performances like today’s, it’s easy to see why Martinez was called up to the Venezuelan national team for World Cup Qualifying.